A recent decision by the Human Rights Tribunal in British Columbia sheds light on the conflict that can arise between a landlord’s pet policies, and the rights of tenants with disabilities. The tenants brought the case before the Tribunal after an Owners Strata started charging a $200 per week fine and threatening to evict over a dog. It appears that the family had lived in the unit before acquiring the dog. A Strata Bylaw restricts dogs to certain breeds and includes a height restriction of sixteen inches. The dog the family chose violates those rules. While there is some dispute over what medical information was provided, the family is claiming that the dog is a therapy animal needed for a daughter who suffers from mental health concerns. However, the Strata claims that the family originally told them it was their son who needed the therapy animal. The tenants made several requests to keep the dog, but all were denied. According to the Strata, it was a later request that indicated the need to keep the dog for therapy. The Strata did offer to allow the family to have a dog so long as they got rid of the one they had, and found one that met the Bylaw restrictions. The medical evidence provided includes a letter from the family’s doctor saying that he feels the dog the family now owns in beneficial in treating the daughter’s mental condition. The Strata is arguing that the medical assessment provided did not confirm that the child requires a dog for therapy. The Strata Bylaws apply even to therapy dogs. The family is pursuing a claim for discrimination against the Strata and the landlords based on physical disability, mental disability and family status. To win, they must prove that one of them possesses a characteristic protected from discrimination, that they’ve suffered an adverse impact, and that the protected characteristic was a factor in the adverse impact. More specifically, to succeed at final hearing, the family will have to establish that the Strata treated them adversely because of the daughter’s mental and physical disability and because of their family status. They must prove that the daughter has a disability, that the Bylaw, while seemingly neutral, had an adverse impact, and that the adverse impact resulted because of the disability. If that is shown, the burden shifts to the Strata to justify the policy. The family has asked the Tribunal to consider a precedent from a previous case where the dog in question was not certified as a service animal, but was required to assist a tenant with a physical disability. The Strata argued that the conditions cited by the tenants are not disabilities under the law, and that the dog is not medically necessary, but rather generally beneficial. 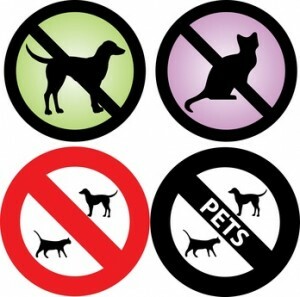 The Strata has indicated that if it loses, it will not evict the family, but will attempt to charge a pet deposit as provided under the Bylaw. A Tribunal Member recently denied the Strata and landlord’s application to dismiss the case, stating that it appears that the daughter has a condition that could be proven to be a disability, and that losing a dog she has bonded with would likely lead to adverse consequences for her. That sets the stage for a final hearing. However, the Member suggested the parties resolve the issue through mediation rather than continuing in the Tribunal process. Next post: Who Pays for Rental Repairs?